One thing about writing -- there's always something new to learn. A few months ago, I finally decided to look into audiobooks. Lately, that's about all I read, so I'm a big fan. I've known several other authors who used ACX , but was put off by yet another contract and another process. It turns out, it can be really simple. My first audiobook, JAGUAR HOPE, was issued Feb. 18! It's a sci-fi novelette in my ZERO TIME CHRONICLES series and is only $4.86, a 30% discount. I'm not sure how long the introductory price lasts, but you can check out the three-minute sample on Audible. The complete audiobook is a little over one hour long. 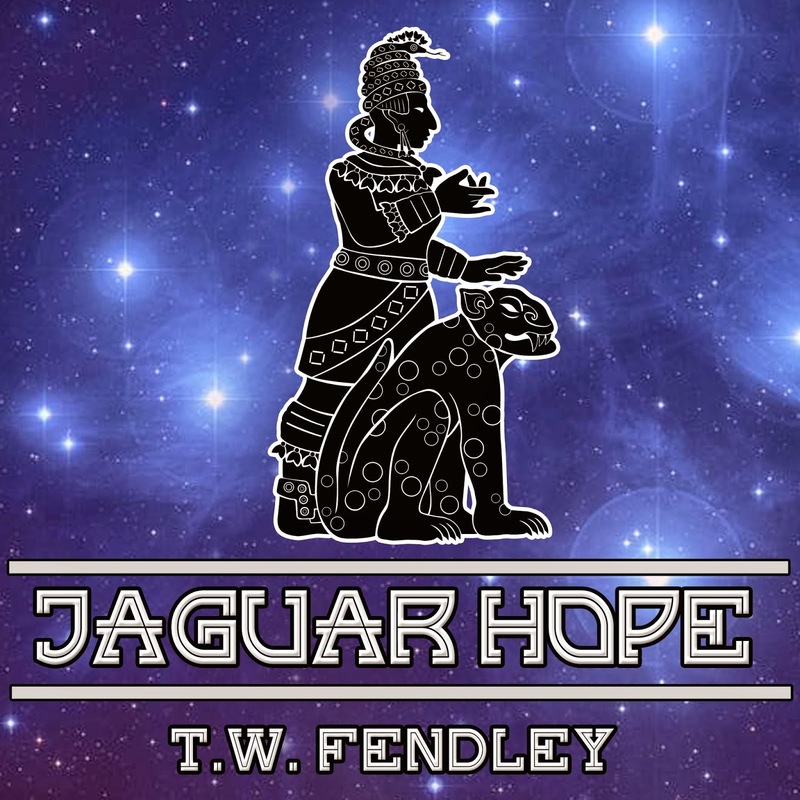 I'm offering a free copy to the first five who leave their email address below in the comments or contact me at twfendley@gmail.com (put Free JAGUAR HOPE in the email subject line). If you enjoy it, your review on Amazon/Goodreads would be greatly appreciated! Here's how the process works: I posted the audition pages on ACX several months ago, offering a royalty share instead of direct payment to the producer/narrator. Royalty share means ACX keeps half the proceeds, and the producer and I will split the other half. When Laurel Schroeder contacted me via ACX about producing JAGUAR HOPE, I was thrilled with her narration. I checked out her website and discovered she not only has a wonderful voice, but holds an MFA in acting and BA in theatre. We signed the contract, which included deadlines, then I sent Laurel the complete manuscript. While she was working on the narration/production, I contacted author/illustrator Jennifer Stolzer, who did the cover for the ebook back in 2012. Jennifer quickly converted it to meet ACX cover specifications. Everything worked like a charm. I approved what Laurel sent me, and on Feb. 12 I received notice that ACX would do a "final quick quality control process, and then begin distributing it to Audible.com, Amazon.com, and iTunes. Barring any issues in the quality check, that process should take upwards of 14-20 business days." Six days later, it was available for purchase! ACX works with authors and producers to promote the audiobooks by offering them copies to send to reviewers. They also pay a "bounty" if our book is one of the buyer's first three Audible purchases. The "bounty" paid for making a sale to a newbie is $25 to split solely between the author and producer. Now that sounds exciting--$12.50 in addition to my usual $1.75 share! But where to find someone new to Audible? They just announced a change to that "bounty" that doubles the amount to $50, but it has to be the new Audible member's FIRST purchase. That will apply to audiobooks started after March 12, so it won't affect my short story, SOLAR LULLABY, which will be coming out next month featuring narrator Tiffany Williams. In the meantime, I'm trying to find places that review audiobooks. If you have any suggestions, please let me know! JAGUAR HOPE: Two black jaguars become the symbol of hope for a race facing extinction when they accompany a dying traveler back to her home planet. JAGUAR HOPE, a novelette, tells of the ill-fated journey to Earth’s Age of Crystal in this action-packed prequel to the award-winning historical fantasy novel, ZERO TIME.